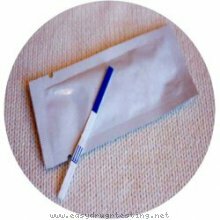 Detox products: LH Ovulation Dipstrip Urine Test. Pass drug tests, passing all drug test. Home drug testing, home drug test kits, random drug test, hair drug test, saliva drug test, blood drug test, urine drug testing, panel drug testing kits. The One Step Urine Ovulation LH Test will help you find the time when you are most able to become pregnant. It can help you plan your pregnancy. How this home test works: The One Step ovulation test will help you find the time when you are most able to become pregnant. It can help you plan your pregnancy. Luteinizing hormone(LH) is always present in human urine. It increases just before a woman most fertile day of the month. This LH increase triggers ovulation. During ovulation an egg is released from the ovary. Because the egg can be fertilized only 12 to 36 hours after ovulation, detecting ovulation in advance is very important. You may do this test at any time of the day, but you should test at approximately the same time each day. Reduce your liquid intake for 2 hours before testing. To decide when to begin testing, determine the length of your normal menstrual cycle. The length of your cycle is from the beginning of one period to the beginning of the next (count the first day of bleeding or spotting as day 1). If your cycle length is irregular, that is, if it varies by more than a few days each month, take the average number of days for the last 3 months. Use the chart to work out the day you should begin testing. The day you begin testing is listed opposite the number of days in your normal cycle. This product is recommended for a professional use. Site product and themes: Drug hair testing, drug test thc, drug detection, cocaine drug test tips, digital thermometer, cholesterol testing device, urine test for thc, office survival kit, marijuana forensic test, beating drug testing, home hiv test, first aid kit kids, marijuana blood drug test, blood sugar monitor, adios slimming, discount electronic stethoscopes, beat breathalizer, blood pressure monitor, urine test alcohol, breath alcohol testing, ovulation signs, urine pregnancy testsm homemade pregnancy tests.